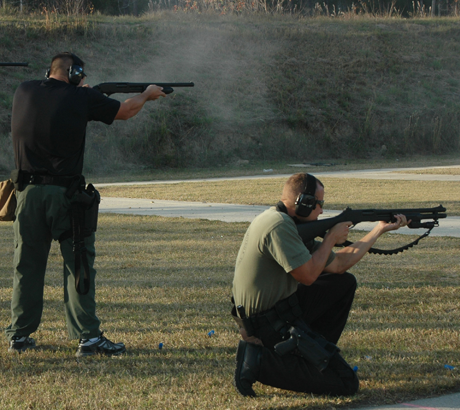 This course is designed to develop understanding and proficiency with a tactical shotgun. Students will progress from basic handling and marksmanship skills to advanced shooting drills. This course will focus on techniques used in an urban environment. The student will develop skills that will increase their speed, accuracy and confidence with the tactical shogun. Tactical shotgun, sling, pouch or holders for 12 gauge ammo, wraparound clear eye protection, ear protection, weapons cleaning kit, water bottle and rain gear.